Somercotes is a settlement in Amber Valley, Derbyshire; close to the town of Alfreton. Nearby commercial centres include Derby some 15 miles to the south west and Nottingham approximately 16 miles south east. Vehicular accessibility is excellent the town lies just off the A38 trunk road that provides access to Junction 28 of the M1 motorway. The site is located approximately 1.5 miles from the A38 at Somercotes and 2.3 miles from Alfreton town centre. The site is situated on the north side of the Lower Somercotes Road (B600) opposite the established Pye Bridge Industrial Estate. 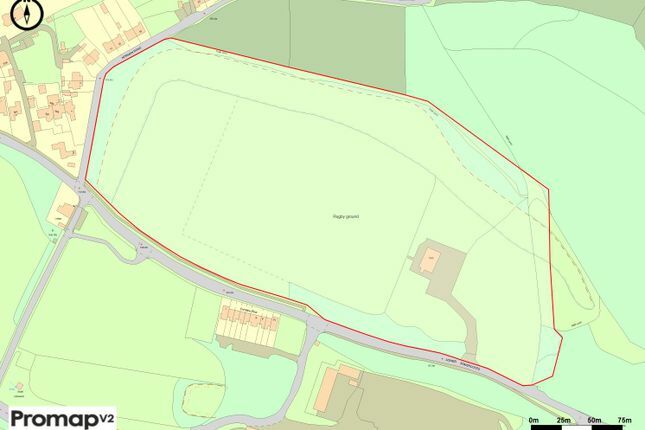 The property comprises a rugby club and premises having a club house with two pitches set within a self-contained site of approximately 16.85 acres. The club house comprises a two-storey building of brick elevations beneath a pitched roof having surfaced parking to the front. To the west of the club house are two rugby pitches and an area of rough grassland; to the east of the clubhouse and car park is rough ground and scrubland. The boundary to the west and north comprises raised scrub embankment, the southern boundary is demarked by a tree line separating the site from Lower Somercotes road. The site has vehicular access off Lower Somercotes Road. The land is held under two separate titles DY220323 and DY217014. Property descriptions and related information displayed on this page, with the exclusion of Running Costs data, are marketing materials provided by David Brown Commercial, and do not constitute property particulars. Please contact David Brown Commercial for full details and further information. The Running Costs data displayed on this page are provided by PrimeLocation to give an indication of potential running costs based on various data sources. PrimeLocation does not warrant or accept any responsibility for the accuracy or completeness of the property descriptions, related information or Running Costs data provided here.